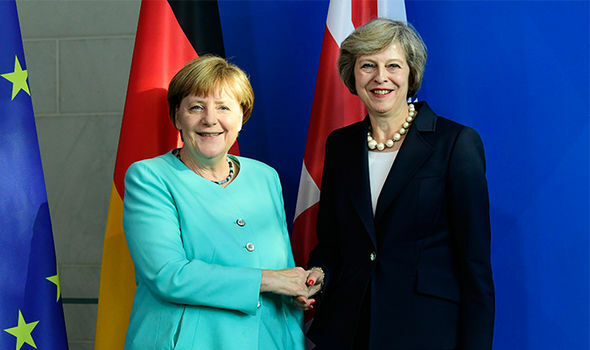 The Prime Minister last night has been faced with accusations that she has completely capitulated on Immigration to the EU. In a significant U-turn, ministers announced that any EU migrants who arrive during the transition period will have the right to settle permanently in the UK. Previously, this had been on offer only to EU migrants who arrive before Britain formally leaves the EU in March 2019, if we do leave that is. The Prime Minister has now scrapped the supposed red line only a month after saying she will resist the demands at all costs. Andrew Green who is the Chairman of highly respected Think Tank MigrationWatch thundered: "This means anyone coming to work, study or be self-sufficient will acquire the right to remain indefinitely and bring their family. This is a complete capitulation to EU demands, as yet with no parallel commitment from EU member states. This will lead to a scale of immigration that the electorate voted against and certainly don’t want to see." Over 3.2 Million EU citizens have automatically been given the right to live in the EU and this could potentially lead to another 2 million settling in the next few years permanently. Can the UK cope with this level of Immigration? We say NO, Sign up Here if you agree! Read: "Leicester Explosion takes an incredible twist"